We are a dynamic Reform congregation firmly rooted in the past, yet intent upon creating a meaningful future for ourselves. Our Temple is a house of prayer to which we come to read aloud or alone, silently or responsively, with words or with melody, the prayers that we and others have written at other times in other places. 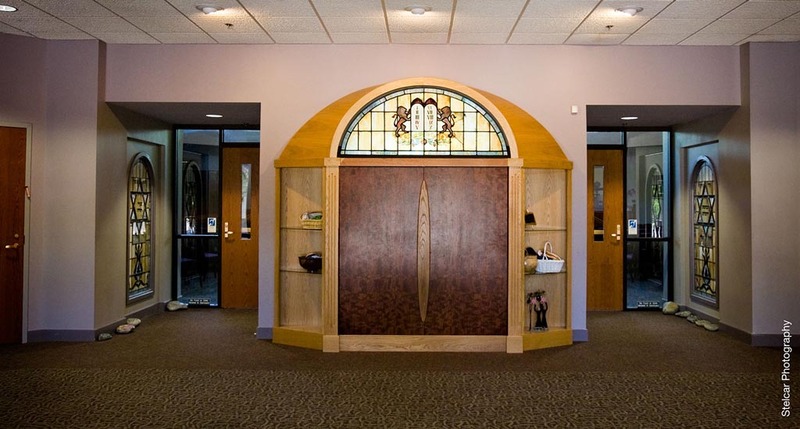 Our Temple is a house of study where children and adults engage in the incredible task of acquiring Jewish knowledge. Our Temple is house of gathering where individuals and groups meet and organizations convene in order to do the work of God. Above all, our Temple is a house of those who call it a house of God. It is the headquarters of the ideals by which we say we live. It is the home address of kindness. It is a house of peace and decency in a world of war and cruelty. It is the silent reminder to all who see or enter or pass it by that there are measuring rods other than the measuring rod of power. It is the house of God, not only because it contains sacred objects of our past, but because it upholds the ideals which the love of God implies, implores, impels. Our Temple is all these and more. It is the home of families and individuals who seek to consecrate the greater moments of their lives within a setting of sanctity.